Each footprint size is 10 cm x 5 cm. 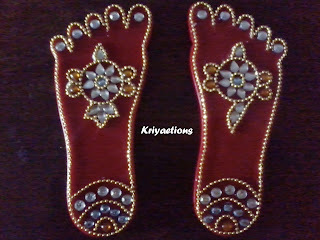 Can be used on Krishna Jayanthi to symbolize the feet of Lord Krishna. 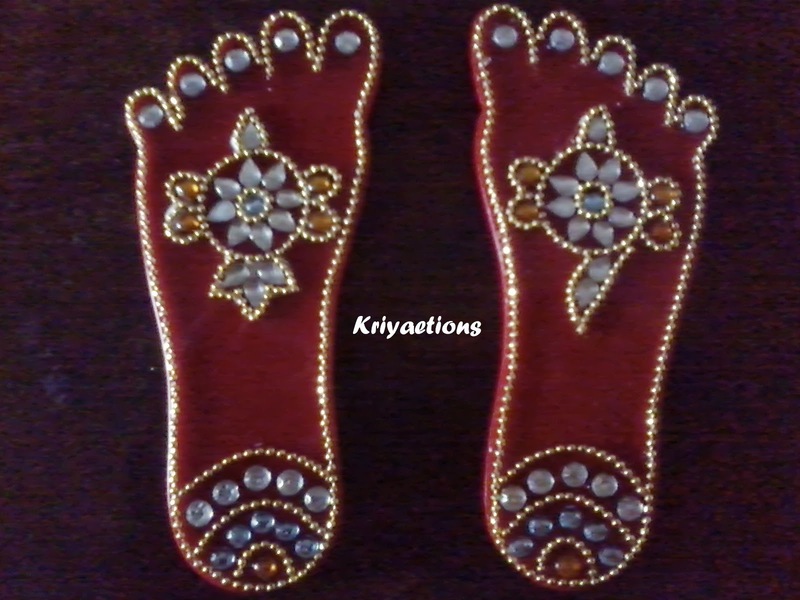 Made on thick acrylic sheets, commonly called red plastic, and neatly shaped and handcrafted with kundan stones. The shanku and chakra on these paadhams signify Lord Vishnu's presence and blessings. Available colors of the base acrylic is red, blue, white, and yellow.